Water filters, softeners, calcium treatment units, reverse osmosis units and monitoring products. European WaterCare expanded to Africa under the name WaterCare Africa. This subsidiary company is based in South Africa. We are backed by European WaterCare, the leading independent Water Filtration company in the UK and we are positioned to supply products to fill your requirements. Our extensive product range includes the iX Water range of products and supply everything from water filters, softeners, break tanks, pro-store units, cabinets, pumps and all components and fittings for water quality solutions, both commercial and domestic. Our head office and warehouse is based in Ballito, KZN but we offer a national coverage supplying customers across South Africa as well as Pan-Africa through viable partnerships. WaterCare Africa has recognised the need for innovative and green technologies. We have a long trade relationship with the parent company in the UK and we can now offer these innovative products in Africa. Our products are supported and backed up by our WaterCare Africa team who provide a first class service to our growing customer base. WaterCare Africa offer the solution to improving the taste of food and beverages as well as extending the life of professional catering equipment. Our range of commercial manual and automatic salt based water softeners for professional glasswashers and dishwashers. A compact, powerful and extremely cost effective Reverse Osmosis unit that is specially optimised for protecting commercial steam ovens. 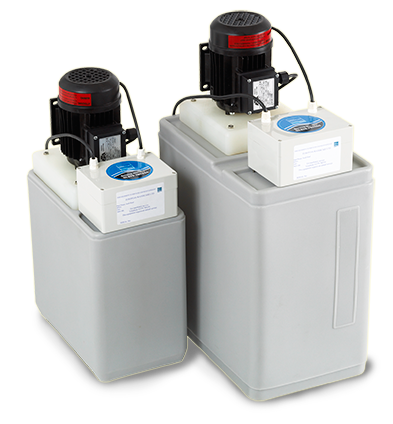 Our de-min units remove up to 95% of total dissolved solids from the incoming water supply. Produces high quality water that leaves glasses clean and sparkling straight from the dishwasher or glasswasher. Calcium treatment units specially optimised for Catering Equipment. The reliable solution to scale reduction, taste improvement and longer equipment lifespan. Calcium treatment units specially optimised for Coffee. The reliable solution to scale reduction, taste improvement and longer equipment lifespan. A compact, powerful and extremely cost effective Reverse Osmosis unit that allows creative barista’s, suppliers and manufacturers the opportunity to dial in new tastes and ideas whilst protecting their equipment. Our range of iX Water Filters, with an internal, replaceable cartridge, not only challenges the existing business model for quick change cartridges but also bring down operating costs. A clear, cost effective, centrally managed exchange solution. Communicating usage, cost and exchange frequency online via the web or building management systems. Designed to collect and pump away wastewater from combination ovens, at a temperature up to 100 degrees centigrade, from a level as low as 40mm from the floor. Easy change Calcium Treatment Units. The simple release and replace mechanism means exchanges can be made without need of an engineer. Enhance the taste, aroma, crema and overall quality of hot beverages using water treatment systems specially formulated for professional baristas and coffee specialists. We are committed to delivering quality manufactured products that meet the needs of all catering equipment applications whilst offering bespoke, tailored solutions to our clients’ specific problems. Through effective communication and problem solving we aim to offer our clients complete peace of mind that their water treatment needs have been met with the most efficient and cost effective solution every time. We pride ourselves on top quality customer care. Contact our support team via telephone or email. We take an individual approach to every customer and allocate a business professional to look after each account. We welcome feedback from our customers and take into account their views in future product development. We are very proud of our products and offer a satisfaction guarantee on all our products and services. Using our products, we are confident that you will make savings on equipment repair costs and by increased energy efficiency. If you need further information on any of our products or services, just give us a call.